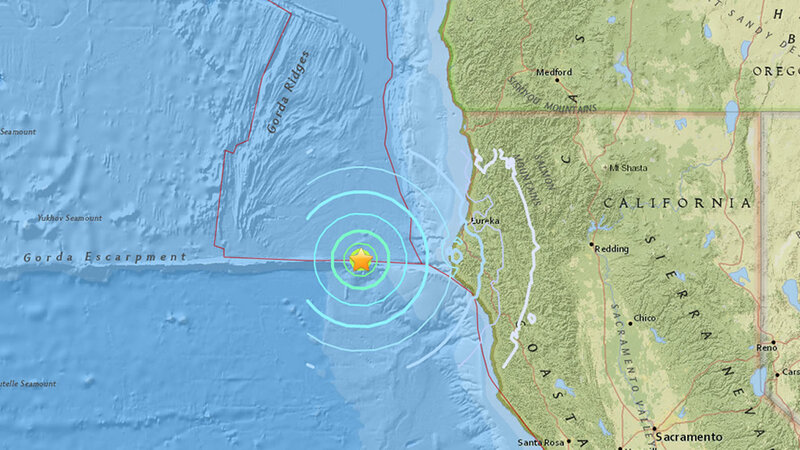 FERNDALE, Calif. (KGO) -- A 5.6 magnitude earthquake just struck off the coast near Ferndale in Humboldt County. The epicenter was about 60-miles out in the Pacific Ocean. So far there have been no reports of damage or shaking on land and no tsunami warning is expected.